Whether you consider the Olympic Games a triumph of human endeavor and achievement, or an appalling cesspool of corruption and drug experimentation, it is that rare mega-event that always grabs the world’s attention. 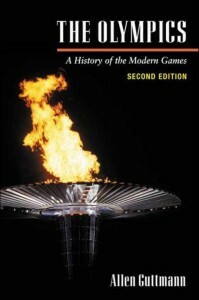 The University of Illinois Press maintains a longstanding dedication to scholarship around the Games and the movement, as you might have seen in recently published UIP titles like this one from May, or that other one from May, or even the one that came out while you were reading this blog post. Below we feature some past releases to ignite the torch of your interest in one of humanity’s most far-reaching spectacles. 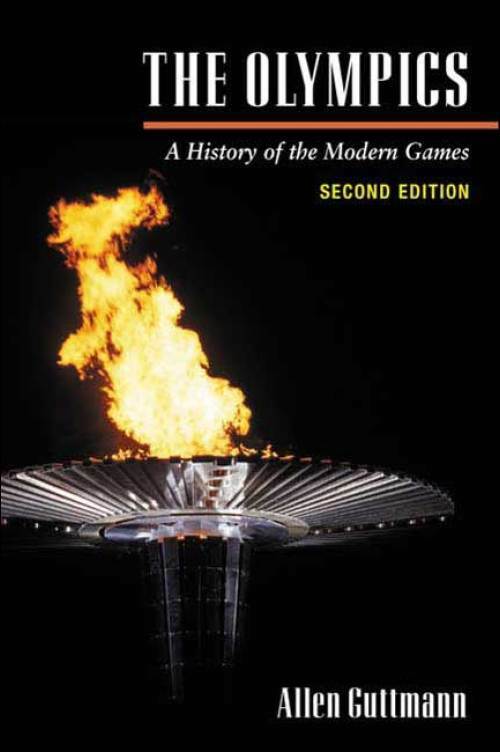 This second edition of Allen Guttmann‘s critically acclaimed history discusses the intended and actual effects of the modern Olympic Games, from 1896 to 2000. The glories and fiascoes, the triumphs and tragedies—Guttmann weaves them all into a vivid and entertaining social history. As Guttmann shows, politics has always been one of the Olympics’ major events. He also delves into the colorful history of the athletics, from the Paris marathon course that invited French runners to take shortcuts to the odyssey of Egyptian gym teacher Youssef Nagui Assad, who made three different Olympic teams only to be recalled home each time due to boycotts. Guttmann also provides insight into the byzantine maneuvering involved in site selection, as well as little known facts about the Games’ history and figures like longtime Olympics czar Avery Brundage. Born the tenth child of a poor Southern sharecropper and barely able to read or write, Jesse Owens nevertheless went on to win an unprecedented four gold medals at the 1936 Berlin Olympics. 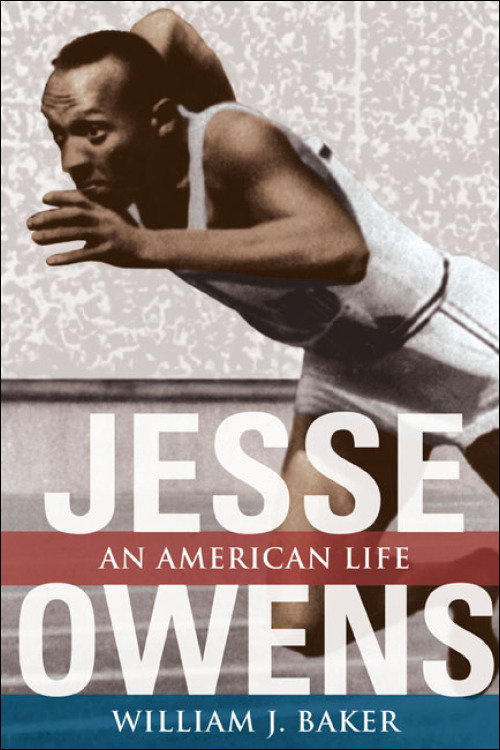 William J. Baker pens the most complete and probing biography of Owens ever written, vividly detailing the successes and failures of this complex and troubled but ultimately indomitable figure who transcended his own athleticism to become an American icon. Olympic victory transformed Owens into an international superstar overnight who exploded Hitler’s myth of Aryan supremacy. 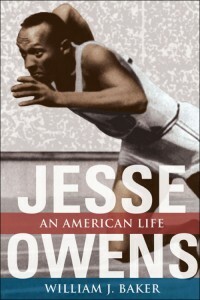 But Owens’ post-Olympic featured challenges of its own. Stripped of his amateur status shortly after the Berlin Games, Owens faced blackballing by corporate sponsors and racial prejudice, was forced to race amateurs and even horses in exhibitions, and eventually faced prosecution for tax evasion. An appointment as a goodwill ambassador in the late 1960s revived his fortunes to some degree until his death from lung cancer in 1980. One day in front of the television would convince any alien that the entirety of American culture is built around sports. Politics and business are a-bustle with sports metaphors and endorsements by athletes. “Home runs,” “bottom of the ninth,” “fourth and ten,” “slam dunk,” and similar phrases litter the daily vocabulary. No matter how dire the news, sports will be reported as usual. How did this single-minded fascination come to be? 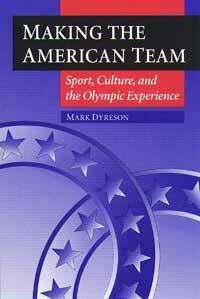 Mark Dyreson locates the invasion of sport at the heart of American culture at the turn of the century. It was then that social reformers and political leaders believed that sport could revitalize the “republican experiment,” that a new sense of national identity could forge a new sense of community and a healthy political order as it would serve to link America’s thinking classes with the experiences of the masses. Nowhere was this better exemplified than in American accounts of the Olympic Games held between 1896 and 1912. In connecting sport to American history and culture, Dyreson has stepped up to the plate and hit one out of the park. The 1936 Olympic Games played a key role in the development of both Hitler’s Third Reich and international sporting competition. Arnd Krüger and William Murray gather original essays by modern scholars from the Games’ most prominent participating countries and lays out the issues—sporting as well as political—surrounding individual nations’ involvement. 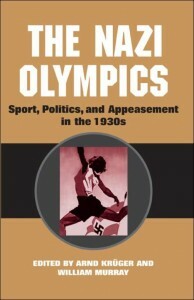 The Nazi Olympics opens with an analysis of Germany’s preparations for the Games and the attempts by the Nazi regime to allay the international concerns about Hitler’s racist ideals and expansionist ambitions. Essays follow on the United States, Great Britain, and France—three first-class Olympian nations with misgivings about participation—as well as German ally Italy and future ally Japan. Other essays examine the issues at stake in Finland, Sweden, Norway, Denmark, and the Netherlands, which opposed Hitler’s politics despite embodying his Aryan ideal. 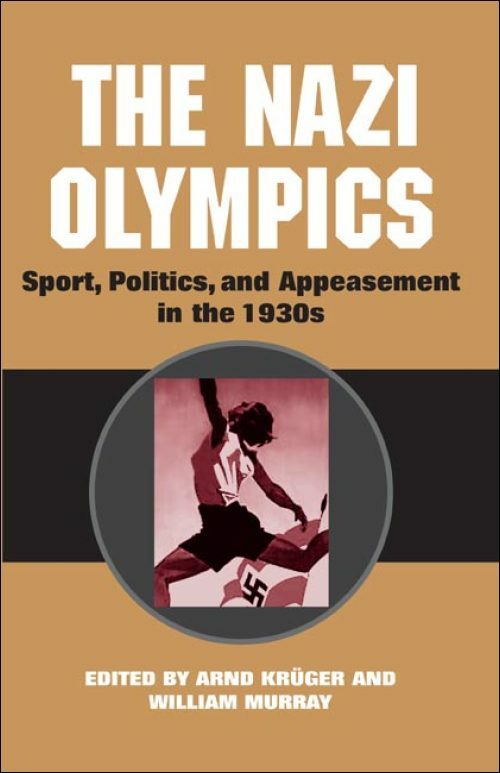 Challenging the view of sport as a trivial pursuit, this collection reveals exactly how high the political stakes were in 1936 and how the Nazi Olympics distilled many of the critical geopolitical issues of the time into a contest that was anything but trivial.